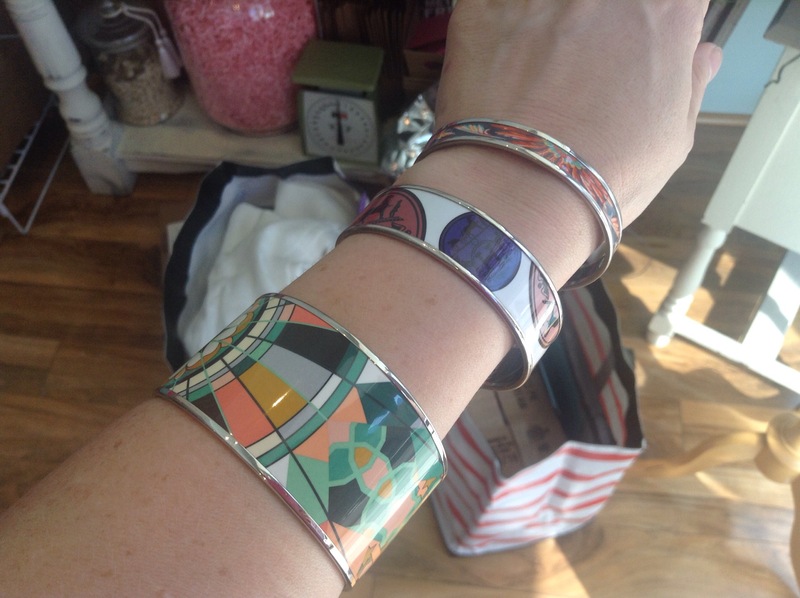 With my packing in the background, I show you today’s bangles. Rose de Compas, Ex Libris, and Brazil. The theme? Latin! Ex Libris, Brazil… I dunno compas? Q.E.D. I know not Latin.